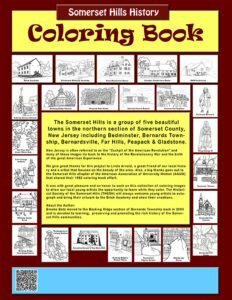 Coloring book fans now have the opportunity to color the local history of the Somerset Hills area of New Jersey while learning about the areas historic sites and most memorable moments. 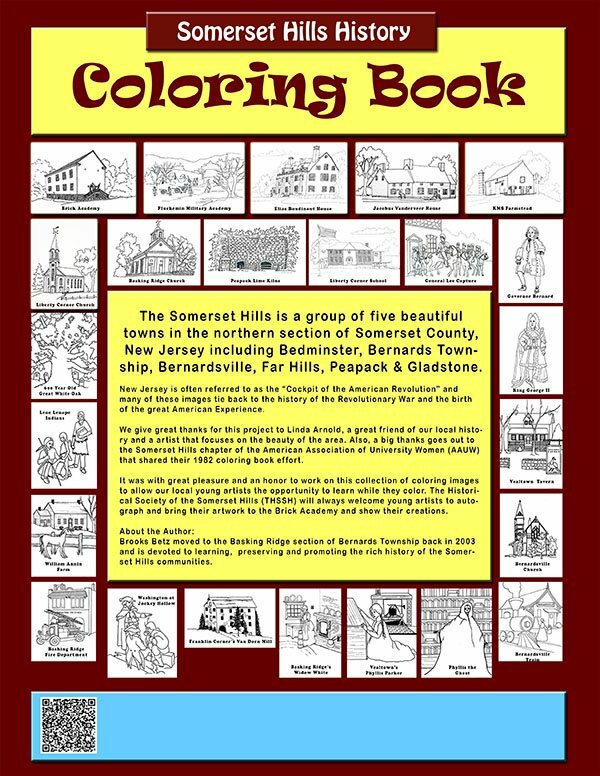 What has been in the works for almost 10 years the Somerset Hills History Coloring Book was recently released and a lot of people are excited. 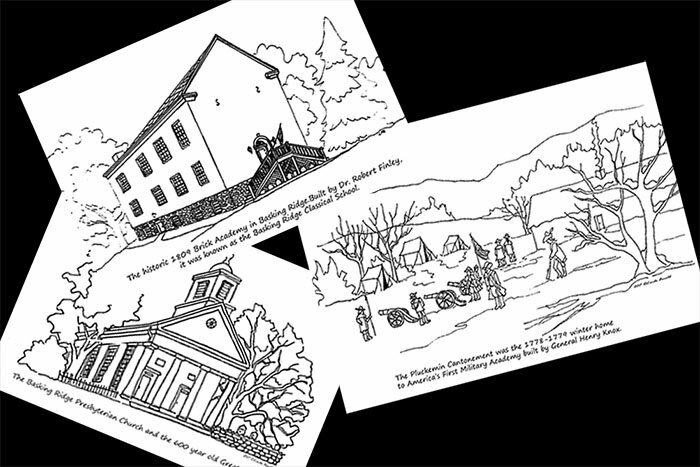 The Somerset Hills History Coloring Book highlights the history of Somerset Hills, New Jersey. 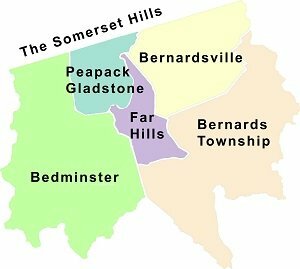 The area is in the northern section of Somerset County including Bedminster, Bernards Township, Bernardsville, Far Hills, and Peapack Gladstone. 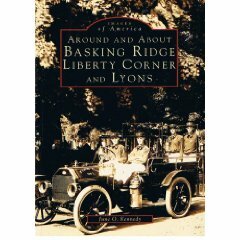 The book contains 34 images including the areas famous people, places, and events in the Somerset Hills local history. General George Washington, General Charles Lee, Widow White, King George II, Governor Sir Francis Bernard and Betsy Ross are just a few of the historic figures that will be ready to color in the book. 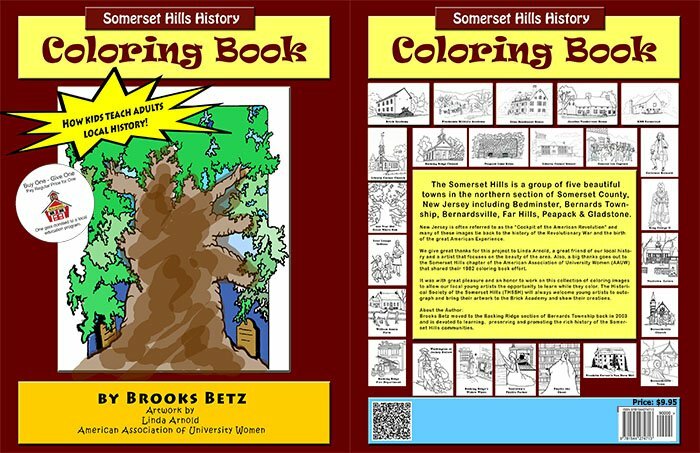 The Somerset Hills History Coloring Book is authored by Brooks Betz, a resident of the Basking Ridge section of Bernards Township. 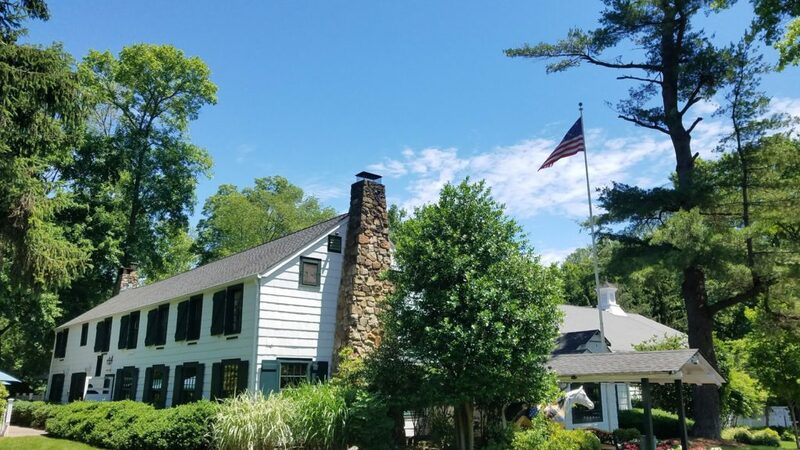 The idea came up during the Bernards Township 250th celebration where a local friend Jen Stiles volunteered to create a beautiful historic mural of the township at the Oak Street School in Basking Ridge. 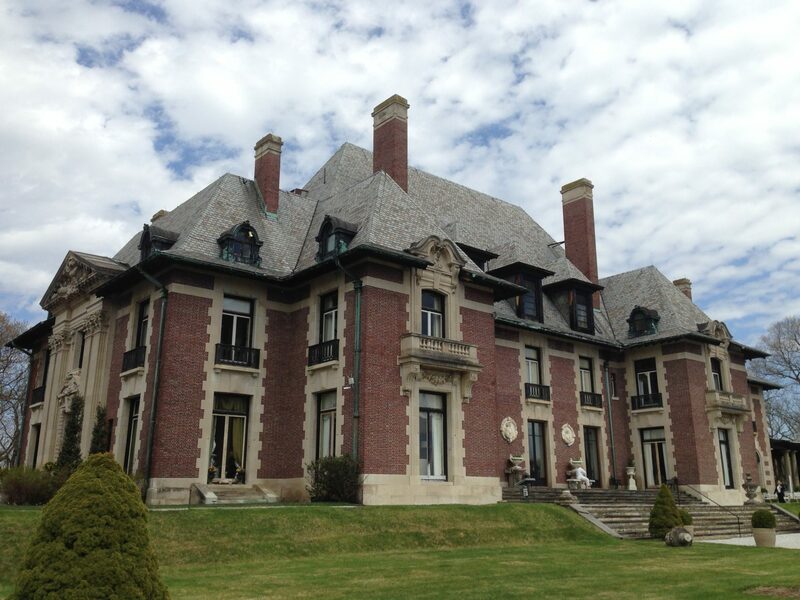 “When I moved to Basking Ridge in 2003, I felt it was important to learn the local history. 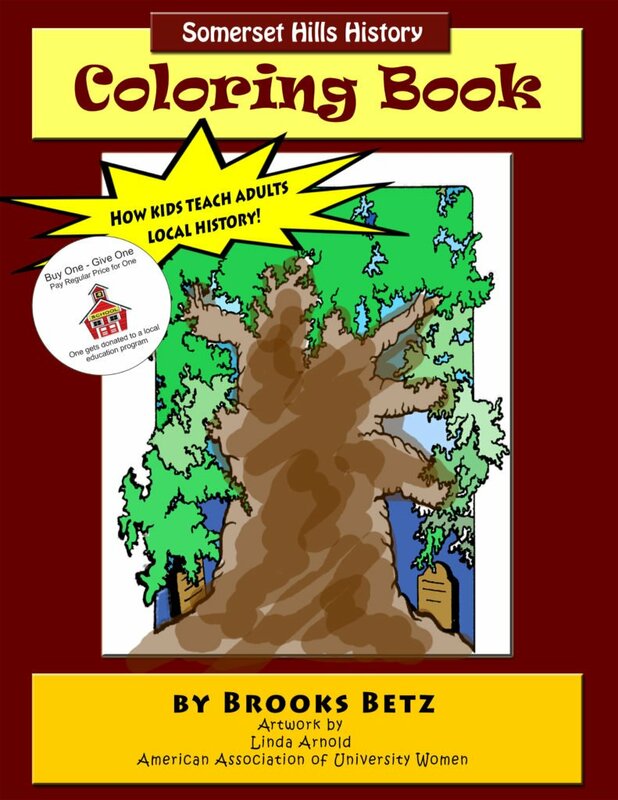 Once I met the local historical society, I immediately got involved”, says Brooks Betz, author of the book. Then at an annual book sale in Bernardsville, Brooks found an old coloring book that was prepared by the American Association of University Women (AAUW) in Bernardsville. 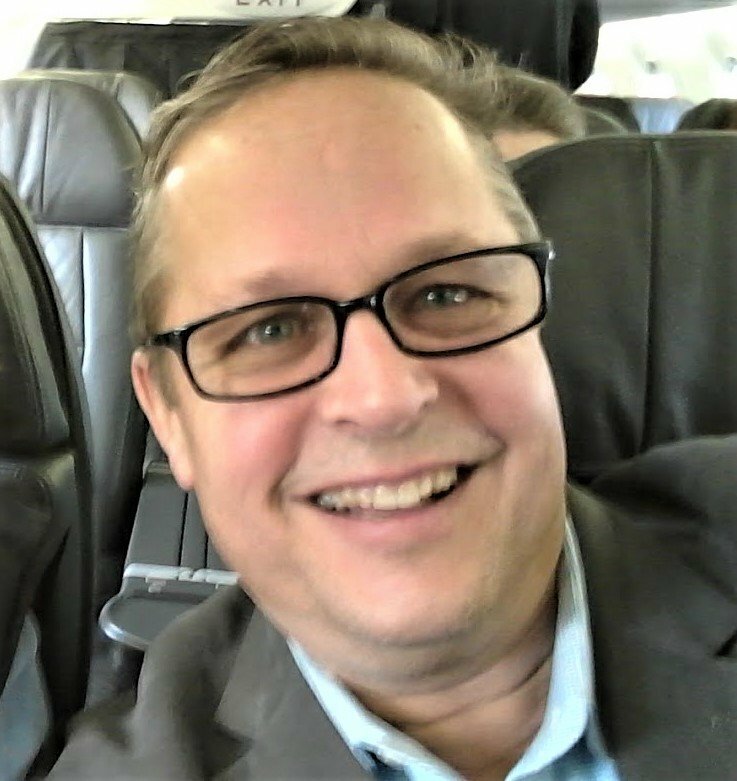 “I was so psyched to see the illustrations I immediately reached out to them.” The AAUW couldn’t find any information on the original drawings but gave authorization to include them with this project.” It was then that he began the project. With the initial drawings set, Betz reached out to local artist Linda Arnold who lives in the nearby Liberty Corner section of Bernards Township. 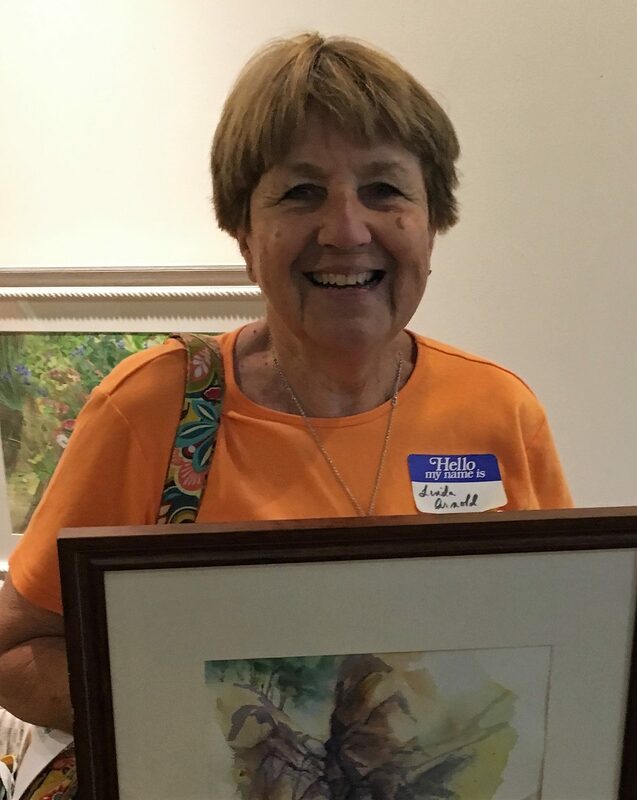 “Linda is such a great person and I’ve loved her artwork and dedication to many of the history efforts she had done with the local historical society. 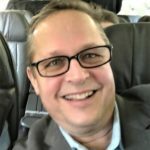 “Linda’s involvement in the project is the only way I would have ever done the book,” said Betz. “Her love of art and history made here the perfect person for the project.” Linda created many of the local iconic images in the book. Books are also available online for those out of the local area.